Tom Brady brought back his old helmet last week against the Jets, and got back some of his mojo with it. 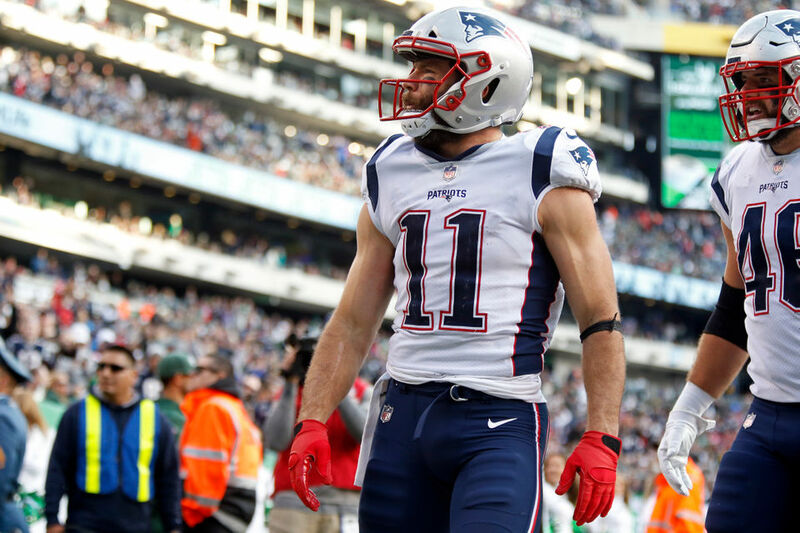 Along with Brady's performance, the Patriots used a dominant running game to easily handle the Jets--but they face a tougher test this week when the Vikings come to Foxborough. Last week's big story was TB12's effectiveness off play-action. New England ran over 35% of all its passes off play-action, and completed 90.9% of them. 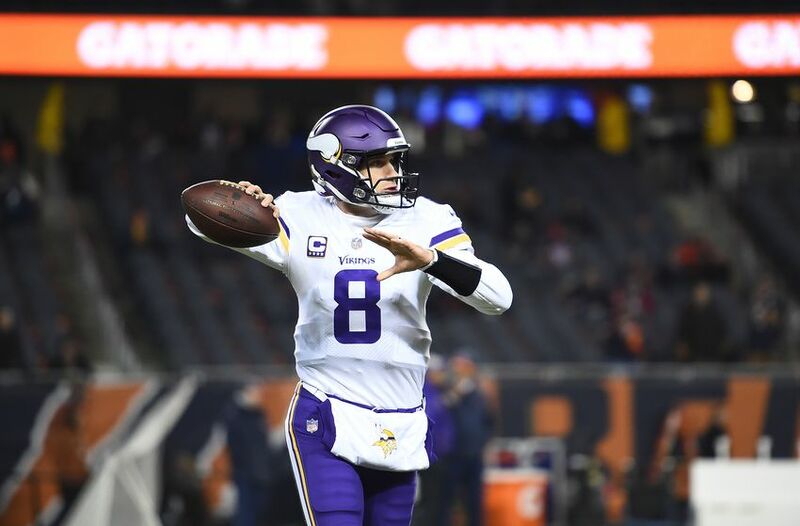 The Vikings, meanwhile, are 20th in opposing passer rating on play-action passes (114.5) and second in standard passes (82.3). The Pats must exploit that weakness to win (h/t Patsperfect for the stats). With that being said, the Vikings have been a very good defense in general so far--allowing the third-fewest total yards per game in the league, and the fifth-fewest rushing yards per game. If New England can't succeed on the ground to open up play-action, it could be a rough day for Brady. I think he comes in around the 10-12 range for quarterbacks, making him a low-end starter. Kirk Cousins, meanwhile, is solid QB1 material. The Patriots have struggled against good quarterbacks this season (allowing top-14 opposing quarterback performances in seven of 11 games so far). Cousins is coming off an outstanding 342-yard, 3-TD performance last week against Green Bay. He should be good for at least 275 yards and 2 scores this week. 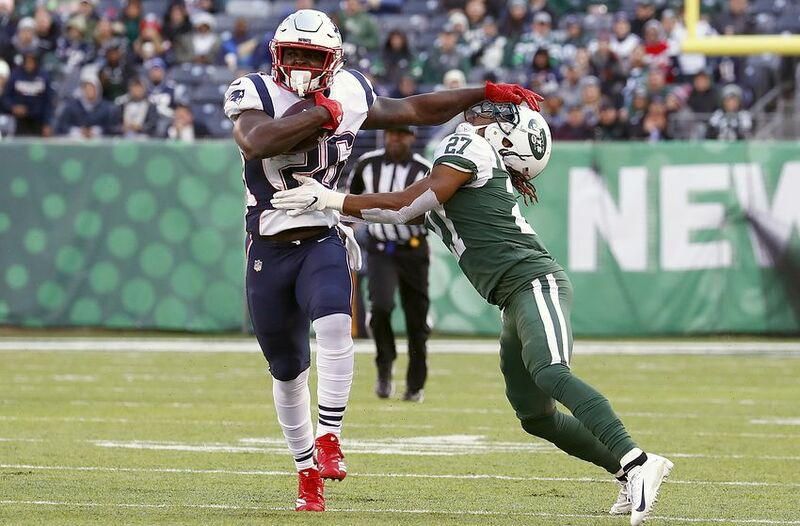 The Pats dominated New York in the running game, controlling the clock and preventing the Jets from gaining any second-half traction. This week isn't going to be nearly as easy. Sony Michel should still get plenty of opportunities to work (again, the Pats need strong running to work play-action successfully) but the Vikings are giving up only 93.6 rushing yards per game. He's an RB2 but the tough matchup caps his value. James White, meanwhile, gained nearly all his value last week from rushing. I would expect to see him return to a more traditional pass-catching role, though Michel's presence relegates him to flex status and possibly a low-end PPR RB2. Minnesota's Latavius Murray and Dalvin Cook were both stymied last week, but Cook holds more value as a receiver. However, he's only a flex this week--the Pats are 11th in the NFL against running backs, giving up only 16.8 fantasy points per game to the position. 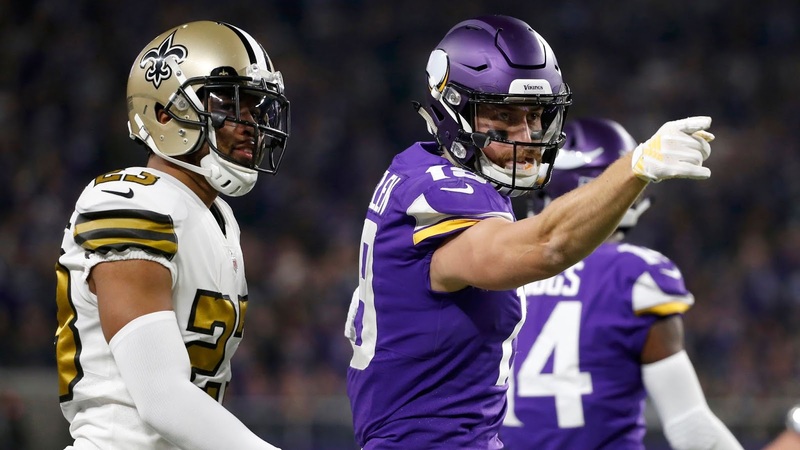 In Adam Thielen and Stefon Diggs, the Vikings have one of the best (if not the very best) receiver tandems in the NFL. Both are surefire starters. Josh Gordon hasn't found the end zone in the past two weeks, but he's continued to see valuable targets, and he managed to catch every ball thrown his way last week--an encouraging sign. Obviously, Minnesota has been tough to throw on, but the more the Pats work play-action and take shots down the field, the more chance Gordon will have to rack up chunks of yardage. That outlook will also improve if Vikings CB Xavier Rhodes is limited or unable to play thanks to a hamstring injury. I like Gordon as a risky WR2, or a solid flex. Julian Edelman assumes his usual WR2 role, with a boost in PPR formats. Chris Hogan and Cordarrelle Patterson are simply not involved enough in the offense to merit starts. 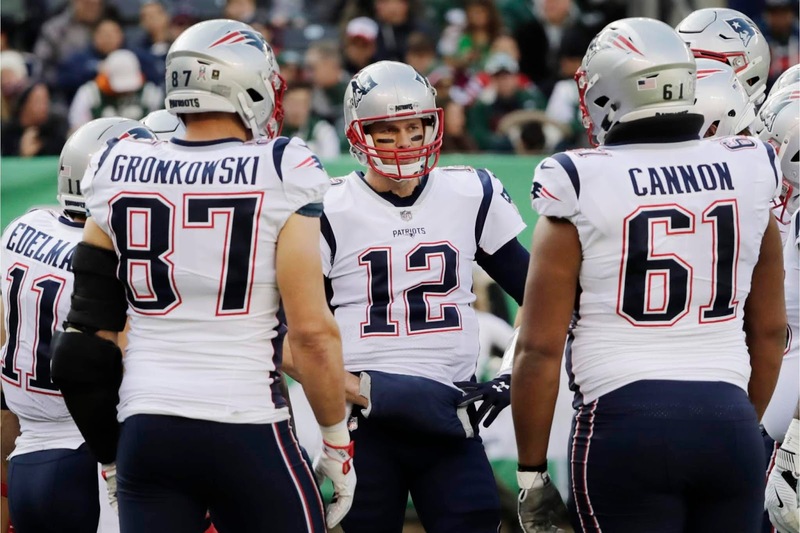 Rob Gronkowski caught a touchdown last week, and he's on track to play this week, making him an obvious starter if you have him on your roster. Minnesota's Kyle Rudolph had a big game last week, but he hasn't scored since Week 3 and generally averages around 40 yards per game on 3 catches. Definitely nothing spectacular. This matchup is hard to predict on the defensive side. I certainly don't like the Pats D going against this Vikings offense, but the Vikings could turn in a salvageable performance themselves on defense (not that any Patriots fan would want to start them). For kickers, Stephen Gostkowski is his usual self. Dan Bailey had a rough week last week (1-for-3) but should have opportunities to make up for his mistakes if you're inclined to take a risk.